On Tuesday, August 21st, the Landmark Preservation Commission hosted their 34th annual Friends of Preservation awards. Ginger and Baker was one of the recipients. What follows is the introduction I read before Jack and Ginger Graham, as well as representatives from VFLA Architecture + Design and Dohn Construction, received their award. From left to right are: Meg Dunn (chair of the LPC), Chris Aronson (of VFLA), Doug Dohn (of Dohn Construction), Frank Vaught (of VFLA), Ginger and Jack Baker, and mayor Wade Troxell. I saw a quote once that said “Old places have soul.” When Jack and Ginger Graham bought the Feeder Supply building, it had that and a whole lot more. It had animal droppings, decayed molasses pits with animal remains included, rotting wood, and brick walls where the mortar had disappeared over time. And in addition to all that, this building was never a grand hotel or bank or apartment building with intricate detailing, fancy flooring or grand spaces. It was built to be an office, a retail space, and a warehouse. In other words, it was built to be a workhorse. And yet… The Rehabilitation that has been done on this building has turned this workhorse into a prize stallion. I attended a Larimer County Comprehensive Plan meeting recently. In some of their initial documentation they talked about wanting to preserve the agricultural heritage of the county despite the changes and growth that we’re seeing in northern Colorado. 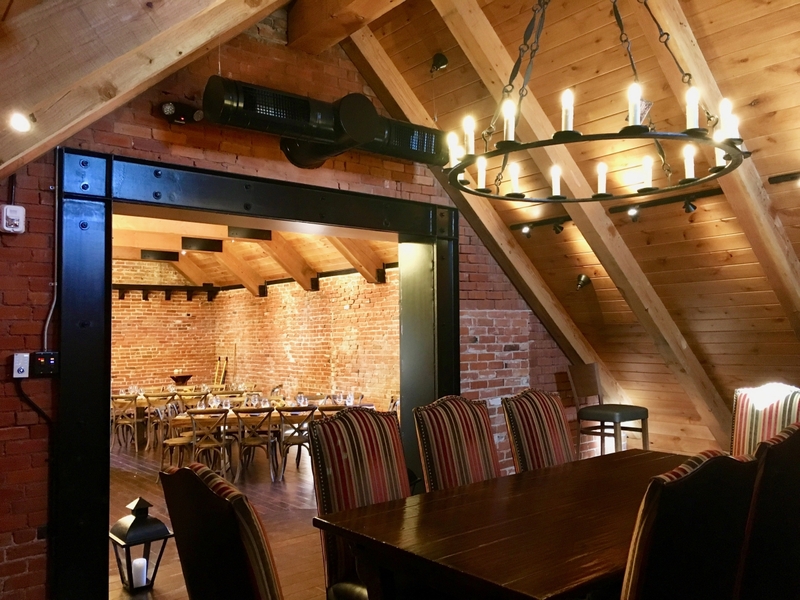 This project – What Jack and Ginger, VFLA, and Dohn Construction has accomplished with the rehabilitation and adaptation of this building, is exactly what I envision when I think about preserving our agricultural heritage in a rapidly growing and changing community. They have honored an important historic artifact that deeply embodies our agricultural roots. … And they’ve prized it. They held it in such regard that they have taken the simple, utilitarian “workhorse” materials that the building was made of and turned them, quite honestly, into a sensory delight. A true transformation has taken place. There is now a sense of wonder and contentment in this building now. The precious way the materials in this historic building have been treated breathes out onto everyone inside. And that care that the Grahams took in honoring this piece of history has given it wings that will carry it forward into our future. 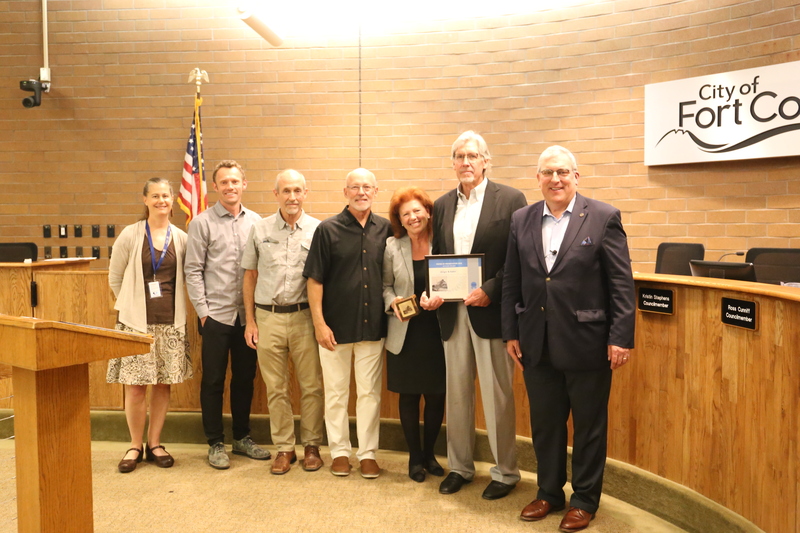 The Landmark Preservation Commission therefore wants to appreciate Jack, Ginger and everyone else that helped honor our roots and give us new wings through the Outstanding Rehabilitation and Adaptive Reuse of the Feeder Supply Building. Thank you. The old Feeder Supply building was lovingly restored. And the new addition not only resembles the shape of a pie slice, but it also gives great deference to the older building by setting back so as much of the older building is visible as possible. I’ve written about Ginger and Baker before. 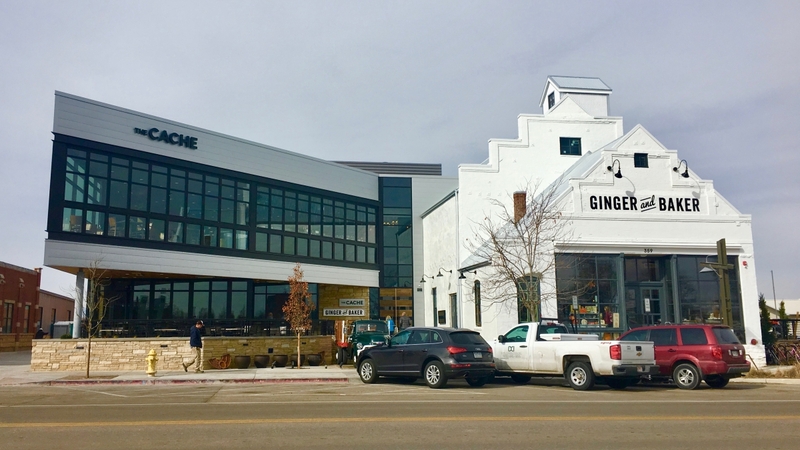 If you’d like to read more about the benefits of rehabilitation and thoughtful design, check out Ginger & Baker: a Delight to the Senses on my other website, Urban Fort Collins. The second story of the old Feeder Supply building shows how the simple wood and brick has been shown off to great effect.